A double entendre that is sure to pique your interest. Writer Cari North thought she knew all there was to know about plot twists�until she stumbled across her ex-fianc�, Lance Morgan, digging a shallow grave in the Louisiana woods. After one horrifying moment of shared recognition, Cari knew her life hinged upon whether she could outrun Lance and the hurricane-spawned tornado that was barreling down on their heels. Just when she thinks she's lost Lance and heads for home, the storm throws in yet another twist that will change her fate�forever. Cari's house, her family�her entire life�have been wiped out by the storm. Badly injured herself, and knowing Lance will come after her, she trades clothing and ID with the near-identical cousin who'd been visiting and flees to Baton Rouge. While the world mourns Cari North, she begins an agonizing recovery as her cousin Susan�until Susan's boss calls her bluff and finds himself drawn into her incredible tale. 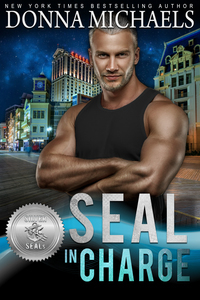 Hunted by a man she once loved, sheltered by a man she hardly knows, Cari chooses to become the bait�and plots the twist of a lifetime to catch a killer. Hunted by a man she once loved, sheltered by a man she hardly knows, Cari chooses to become the bait and plots the twist of a lifetime to catch a killer. I too read Blown Away. 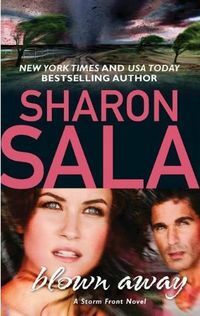 It's been awhile since I read a book by Sharon Sala, because to be perfectly honest the last few just didn't appeal to me. With Blown Away I feel that Ms. Sala has returned to the writing style that first attracted me to her. I was totally engrossed in Blown Away, and admired Cari's strength and determination in the face of so much adversity that would have had many people crumbling from the pressure. Ms. Sala did an excellent job of expressing Cari's sorrow of losing her family and home, while walking the tightrope of keeping her wits about her, so that she could bring justice to another family. I'm looking foward to the rest of this trilogy and they can't be released quite fast enough to suit me. I have a special shelf that I put the books on as they come out to remind me that I'm waiting for the other two. I call it my anticipation shelf. I can look and see what I have coming. It's more fun to read them together and not forget any nuances between books. I read them as they are released, sometimes I have to reread the ones I have just before the next is released. I am currently waiting for the next book from Elizabeth Holt about the soliers - tecnically 4 books not 3! Really enjoying them. Nosra Roberts has some good trilogies out. I usually get the first one, then have to wait for the next, then the next, but when it's only a three book story, then the waiting is just about bearaable. I agree, three books is just perfect for a story. You can really get into the characters, the plot and enjoy it just a little bit longer. I can't start a series unless they are done. It just bothers me to leave something up in the air and not know how it ends. I start out reading what I think is a trilogy and then it usually ends up being like 8 books in the series! haha! I usually read them as they come out. Sometimes I'll wait until I have the 3 together. LOL guess my answer is yes & no. trilogies, but rather "related" stories. Angel - to name just one grouping). years at college out of town. hanging - I hate cliffhangers in books! I tend to read them as they come out, can't seem to wait for all of them, but then I rarely buy books, I use the library, so if I don't request them one at a time they would at times anyway come in the wrong order. Most of the time, I read them as they are coming out. If I have one book and notice that let's say it is number three in the trilogy, I will order the other ones. I also on the cover of the book put in the sequence number, and if it is a particular series from that same author, I will put underneath the number the particular name or initial of the series. 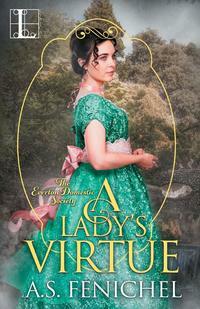 I have recently ordered series by Lisa Kleypas, Toni Blake, Julia London, Linda Lael Miller, Barbara Freethy, Victoria Thompson, Adriana Trigiani, Shirlee Busbee, Sherryl Woods, Tracy Anne Warren, Mary Balogh, Thomas Kinkade, Stef Ann Holm, amongst others. I personally love trilogies and usually very eager to read the next one on the list. I do keep track of what the story is about so I can refer to it when the second book comes out. If I know that it is a trilogy(and they are going to be released close enough together, I will wait and read them all at once. If they are going to be released over a period of time(like a couple years)then I usually read them as they come out and reread when each new one arrives. The trilogy that caused me the most problems though, the first two books were released in the US and then the idiots released book 3 only in the UK. I still have not been able to get that third book even though it was released more than two years ago. And trilogies don't always stay trilogies. Got a what I though was a trilogy recently. They made it to the top on my TBR mountain. I was about halfway through book one and the author announced via newsletter that book four would be out early next year. GRRR!! ago while vacationing in Ireland! I usually read them as they are released because I don't have the patience to wait until they are all released. I love series books in any number they're released in! And since I have no patience I read them as they come out. 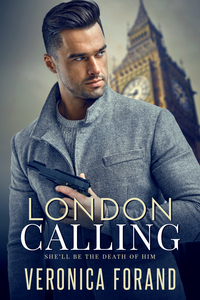 Nancy Gideon has a trilogy coming out soon that looks good, an interesting mix of steaminess and suspense. Some of my favorites from the past are Sherrilyn Kenyon's Born of series from last year as well as Lorraine Heath's Scoundrels of St. James Street. Great reads! It depends on the author. (and my bank account. lol) Some I need to read as soon as possible. Some I can wait until the whole series is out. I love trilogies and series. Please enter me and thank you for the giveaway! I prefer to wait to read all books of a trilogy. Years ago I started reading Fern Michael's "Sisterhood" series out of order. By the time I read four Sisterhood books I decided to search out the entire series...then I read the books in order. I'm looking forward to reading related books by Cindy Gerard. I read trilogies as I find them. If all three are out I get all of them. I bought and read both of Stieg Larsson's first two in the "Girl Who..." trilogy. Yesterday I picked up the third, THE GIRL WHO KICKED A HORNET'S NEST. Now I am faced with a dilemma. Do I finish reading BLEEDING KANSAS by Sara Paretsky or read THE GIRL... first taking a chance I may never go back and finish. I think I will just continue. The book is interesting and Paretsky is one of my must read authors. If I don't I may do what I did with two other favorites, not read any further novels until I finish the one I put in my storage shed and never got back to, one for over three years the other two. Normally I read books in a trilogy or series as they come out, but my TBR pile has become so big, I'll be waiting until all the books are out before I read them this time. Sherryl Woods 3 latest Sweet Magnolia books are now out, so I'm good to go with them. I suspect I'll wait until all of Susan Mallery's "Perfect" books are out before I start them too. Most I just can't resist reading as they are published. I'm impatiently waiting for Nora Roberts final wedding book, Happy Ever After to come out in November and Jo Davis' final Firefighters of Station Five, "Ride the Fire" in December. that's not always easy to do!! patient I try to be. I read them as I get them, but then when I have them all... I reread them! So many great trilogies out there... one of my favs is Nora Roberts' Born In series! Sandi-I love Trilogy's.I've currently bought Sharon Sala's first in her trilogy, Linda Lael Miller's second-Garrett, Susan Mallery's, Jo Davis.I usually read them as they come out and not wait since my TBR pile is growing. Sherrilyn Kenyon's Infinity the Chronicles of Nick. This will be a while but I am looking forward to it. These are just some of the upcoming books that I am looking forward to reading. I usually read the books as they come out. If I like the first book a lot, I either buy it so I can have the set for myself, or I reserve the next one at the library so I can be the first one to read the next in the series when it comes in at the local library. That way I don't have to wait very long when it comes out!! I wait until I can get them all at once. I hate reading a book and then having to wait and wait to find out the rest. It's easier to put off reading all of them until I can read ALL of them together. Oh and BTW, lucky you to be a reviewer. How fun would that be??????????????????????? I love to read trilogies. I like it when you can follow all of the characters through their own stories. I wait until the last one is ready to be on sale and then read the first ones so that I have the story line when the last one comes out. I love trilogies--it's just one long story. Three-ways in a triology intrigue me. I love the continuity in a series. I also love trilogys thay are fun, What I do is read them as thay come out then when the next one comes out I reread the the first and so on its alot of reading but I love it so it works for me. I like trilogys too but I read them as they come out; too impatient to wait! I like series books as well. I've read some greats of each like "Diamonds Down Under," "Dante's Inferno (have the last book to read)," The Becketts of Romney Marsh," "The Bastion Club," etc. I've kept the last Bastion Club book because it was so moving. So whatever it may be, I like it! I read trilogies both ways! If the interval between releases is fairly long, I wait, but, if they are released 1 - 3 months apart, I read them as I get them. Sometimes it all depends on the author as well; some authors I just am too anxious to read! My recent favorite was the Stolen series by Elisabeth Naughton. Loved that they were published back to back. Most frustrating thing about getting hooked on a series is waiting up to a year for new stories. Unless I'm in a book club that sends the book out, I will wait until all of the books are done. Two of my favorites are Sandra Brown's Texas Trilogy and Linda Lael Miller's Montana Creeds. I usually read them as I get them because i can't wait! I do go back to the other books a refresh my memory! I am reading Kaki Warner's Blood Rose trilogy right now, I have read two of the book but the last one comes out in January! I really recommend these books the first two are Pieces of Sky and Open Country, they are awesome! Unless it is an author I really love, I hate the trilogy publishing & marketing gimmick. It puts me off of trying new authors. I resent the heavy handed marketing and sometimes it actually has a reverse effect on me to turn me off from books and authors. But if it is an author I really love, I suppose I read them...but if I love the author, I would read their next book trilogy or not so I still find it annoying. If it is even only very good as compared to great, I tend to shun the next book because everyone does trilogies. I guess I read them when they come out if I have time. Not sure what trilogy I will do this summer. 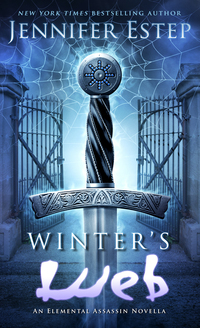 I have to wait til summer 2011 for this medieval historical fiction trilogy I am reading. :-( I could learn Swedish and not wait for the translation in that time, lol! I think maybe I like trilogies better in category romance than others but I haven't decided yet. I try to wait for the all books to come out before starting on them so that I can read them one after the other. Sometimes I can't wait to start the first book, but end up waiting six months or more for the second book to be released. I'm looking forward to Tessa Dare's Stud Club trilogy. Like most of the others, I prefer to read triologies (or quartets [Nora's Brides, or Stephanie Laurens' Black Covra]) in the order published and all at once, but that doesn't always work for me. Especially since the fourth of Nora's Brides isn't coming out until fall!! I just finished the third one, and passed it on to my friend (she'll give it back, don't worry!). The one thing I really didn't like about it? No recipes! As a baker myself, I would love to get recipes for some of the cakes described, but I'm sure that won't ever happen. However, back to series and connected books. Whenever possible, I like to read them as a group, in order. I have found a group that I haven't been able to do that with, however, but it really doesn't matter, since there is so much inter-connectedness in it. It's Lynn Kurland's group of books, which feature people from both sides of the pond, multiple eras (but mostly 20th century, and mediaval to Elizabethan), all with three primary male charactors who are ghosts based in an inn and who are inter-related over the centuries of their existence. Yes, I know I'm not describing it well, but there are at least 8 - 10 books, some of which are series, but all are connected. There is a new one currently out, and I may just be using my new Border's coupon to go get it later today. What I really need is a house big enough for all my books, a photography darkroom, a music room (with a good German Steinway for chamber music), and time to get all my books in order to see what I'm missing in all the series that I love so I can fill in the blank spots on the shelves. Wishful thinking, indeed! the start to a new trilogy. My books are passed on to me by my sister who has received them from a friend of hers. I read them as she give them to me, often out of order. This is okay with me as I usually start a book by reading the last few chapters to see if I want to read the whole thing. I love to read trilogies and one of my favories is Weekend Warriors (Sisterhood)by Fern Michaels. There is so much action and these ladies can come up with some dozzie ideas so get their guy or gal. Lizzie Fox came onboard in Final Justice and is one fisty attorney and gets her man or woman every time. I just love this series. I have read these out of order which did confuse me so I am trying to get the others in order before I start reading again. I may reread the ones I have already read to refresh my memory and get things in order before I start again. I love trilogies or series books. That way I can keep up and find out what happens to the other characters in the storyline. If it's someone I REALLY like I read them as they come out. I love trilogies, connected books & series. Depending on how the books are released, my finances & my mood I will read as released, sometimes I keep them on the TBR shelf until I have all 3 books & someimtes if it is a new to me author I will try to get all copies before I start reading! I'm flexiable!! I also love single title. Can you all tell I just love to read! One of my favorite trilogies is Nora's Donovan series which eventually got a 4th book added. She is an excellent at writing connected books. There are other authors I also enjoy a great deal. Enjoy the weekend, please take a moment to remeber the reason we celebrate Memorial Day. I do love trilogy's, I'm currently reading book number 2 in Candace Camp's newest trilogy. I like it when the trilogy comes out back to back in 3 months. I do read them as they are released. I don't have the patience to wait and collect them all. What I do hate is when its a series/trilogy and they release like 2 or 3 in a row and then make you wait a year for the final. I love trilogy's. I'm one of those that wait until they are all released and spend days reading. I read them as they come out and then re read when the last is due; for JD Robb's In Death series, I try to re read them once a year anyway since I enjoy the series so much. Best to wait for all 3 to be out. Then it's reading time. 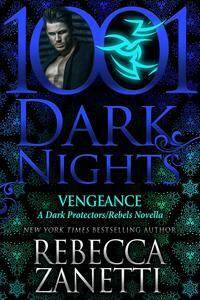 I love when they have trilogy coming out close together, like Tessa Dare's! First one just was out, ONCE DANCE WITH A DUKE. I either read as I get or read one after another since they are out close together. I notice that with books out further apart with the trilogies, I end up doing re-reads or close to that! The second book in Cara Elliott Circle of Win, TO SURRENDER TO A ROGUE is out in June so I plan to refresh myself with a scanning re-read the first book, TO SIN WITH A SCOUNDREL. Sometimes I just can't wait til the whole trilogy is out so I read as they come out and then refresh myself with the stories before the next book is out. Hi Sandi! Another good question. As a rule I don't like trilogies. I do make exceptions with my favorite authors. I recently read Karen Rose's trilogy and read them as they came out. Even if I have the whole trilogy on my shelf I will not read them back to back. I love Nora Roberts' single books and the J. D. Robb series but don't like her trilogies. When there are three books they tend not to be as strong a story. The exception is her bride quartet which I am really enjoying probably because all the characters have strong roles in all the books. Having said all that I am looking forward to the two trilogies you mentioned because they are favorite authors of mine. out before I sit down to read them. sub-plots running through the books. I typically read them as soon as they're available, and then try to be patient in waiting for the next one(s)! I love series books. Susan Mallery, Kate Angell, Robyn Carr just to name a few - write great ones. I read them as they come out. me a while to get to them. I read them as they come out unless I discover the author late and then I buy them all and buy them in order. I would like to wait to read all 3 books at once but I cannot wait. I love to read series (mostly mystery) and tend to read them as I can. I do like to read in order, but some of the best series I have ever read I happened to discover after the first book. I have gone back and read them in order when possible. Love trilogies. How I read them just depends. Sometimes as the come out, sometimes I wait. Depends more on mood and what else is happening. Its easier to wait for them all if they come out in three consecutive months. As to a fav, plenty I really enjoy, but Nora's Donovans and Key series come instantly to mind. As with any new series, especially by a favorite author I will get each book as they come out. I already have soo many book I'm waiting for to be released it's hard to get them all. I've started several trilogies or multi-book series. One is Dreamlight Trilogy by Jayne Ann Krentz, starting with 1. RUNNING HOT as JAK, 2. BURNING LAMP by Amanda Quick, 3. MIDNIGHT CRYSTAL by Jayne Castle. Another is the Final Prophecy quintet by Jessica Andersen, 1. NIGHTKEEPERS, 2. DAWNKEEPERS, 3. SKYKEEPERS, 4. DEMONKEEPERS, 5. BLOODSPELLS. I've only read the first in each set, but by tomorrow I'll have the 2nd book in each series and hope to get to read them soon. A lot of series, including Diana Gabaldon's I've left to read when the series is finished. Hah, for DG, she herself doesn't know when, if ever, she'll be finished with the lot. I love series. I have been reading Sue Graftons since they first came out. It sometimes feels frustrating but when I finally get to read the new addition, it's wonderful. I also like when I read the last one on get to go back in fill in the missing links. I try to read them in order, but I have so many books that it's hard to keep track, and so if it's an older trilogy, I might read it out of order just to get the books read and moved along. I do much better with newer trilogies, and I've read the J. D. Robb books in order. I've been waiting for months for the third book in Suzanne Collins' Hunger Games trilogy, which is going to be made into a movie. It's a YA novel with a very interesting premise, and I can't wait to see who will be cast. Often I will read them as they come out, but I might reread them as the third book comes out as well. My favorite (unfinished) trilogy right now is the Touch trilogy. I'm dying for book 3 this fall. I also can't wait for the conclusion to The Hunger Games this year. I'm with a lot of people already - wait til 2nd one comes out to read 1 & 2 -- it's usually not terribly long til the 3rd comes out. But I love them because you get to see many sides of the characters! I like Maggie Shayne and will look for her trilogy this summer. I like to have all the books in a triology before I start reading them. I don't know why I'm like that. I think I'm afraid I'll forget details, if I wait too long to read between books. I have to figure out a new system as i have several shelves of books (some double shelved) and I don't know what I have. I have been collecting for the last years and have just retired, so i need to see what I have and then what I need to fill in. So I am being careful and reading only singles now. Just to figure out where to put them or do I enter them in the computer ??? ?what to do???? Some of my favorite reading have been trilogies. I especially loved Penny Vincenzi and look forward to yours. I'm a huge Sharon Sala fan. I just finished reading this book and loved it. 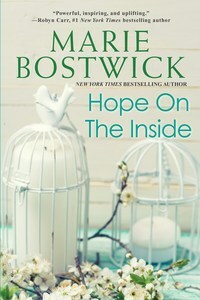 Like Sandi I was totally engrossed in Blown Away and cannot wait for the next two in this series. There is a difference in this book and her last few books like The Healer & The Warrior in that there is no element of the paranormal (or psychic ability) in this book. But then there wasn't any of that in her Cat Dupree series either. Anyways, if you like Sharon Sala or Dinah McCall, you'll enjoy Blown Away. I like waiting to read them all at the same time. Hello Sandi, Please enter me in your fantastic contest and please let me know when I am a winner too! Thank you for your great contest and generosity. I love trilogies and series books. Usually I read them as I get them because most of the time I'm not paying attention and don't realize it's a trilogy until I've read #2 or 3 and then have to go looking for the first one or two. I just collected a mini-series of 6 books, waited until I had them all (very unusual for me) and then found that I couldn't read them all in a row, read the first 3, read a couple of other books in between, and now I am ready to read the last three. My favorite trilogy is Nora Robert's Donovan series, and I actually picked up book #4 by accident. (whew!) I re-read them at least once a year, sometimes oftener. Hi Sandi--May was an up and down month in books for me--kind of the way the whole year is going. I read 7 books in May and can say I really liked only three of them! Then June started out the same--first book was blah. This morning I started Blown Away--things are definitely looking up! Can't put this one down! I was glad to hear The Lies We Told is satisfying. I will probably get it from the library at some point. I have several of DC's books in my tbr to read first. I'm not doing any challenges this year so I am reading what I want when I want. Hi. I am not good a keeping track of what I read. I just pick up a book. I'm guessing I read 8-12 books in May- lots of Shelly Laurenston and Susuan Wiggs. I read plenty on my own. Yet like to read for book discussions sponsored by the library. I don't enter challenges, but I do read al lot. Read about 10 books during May, and a couple of ebooks! I am now in a book club with a group of friends, I think ereading has opened another dimension of reading and find I am continually with my Kobo...anywhere anytime :) It is wonderful to be able to bring reading back to my life. I didn't participate in any challenges. I only got to read about eight books this month. I only read about 5 new books in the month of may so I'm hoping june will be lots better. My reading was up in May, I think I read around 15-20 books. I'm trying to think of 1 or 2 that stand out. I really enjoyed Julia Quinn's newest. it was cute and quirky. Also enjoyed new ones from Sara Lindsey, Candace Camp, Cara Elliott and more. I've still got like 10 books to read from my last trip to the bookstore, so June looks to be a busy month! I did not participate in any challenges. This was a busy work month for me. sadly. I have a very thick book I have to read and do a review. that seems to have halted my actions. I just keep staring at it. One of these days!!!! I loved Sala's Blown Away. I'm also hunting down more of Lauren Dane. Her Chase brothers series was fab. I don't get into challenges because my life is so involved at the moment, but I do go in spurts where I grab books off the shelves in groups at a time when I have the time. If I love the author, I'll take as many in the series as I can to read as I have time for. There are too many authors for me to name in my comment, but they are quite talented. There are so many talented writers out there nowadays, of many genres. I don't get involved in challenges. I have read a ton of books this last month, but haven't kept count. I've handed them off to friends as soon as I have finished them so that they may enjoy them also, so they aren't in my closet to count. I have though put reviews up in Good Reads, for others to find. I will look next time I visit there at how many books I have read. There have been many authors and many genres. Great reads! I read more in May than I have in many months, but I didn't blog April's books, so they're all still sitting here looking at me. I joined one year-long reading challenge, but I don't usually join the shorter ones. I didn't participate your challenge because I'm doing several over at RT. I started last year in an attempt to get to some of the other books I own but have in storage, rather than concentrating solely on my favorite authors. Last month I read last 3 Bedwyn books by Mary Balogh: SLIGHTLY TEMPTED, SL. SINFUL & SL. DANGEROUS. I really enjoyed them, like all of her books. I also read A MATTER OF CLASS, her latest book before the May release of A SECRET AFFAIR, the last of the Huxtable series. AMoC has a great little twist in it, so don't read the ending before you actually get to it. For once I refrained and loved it. Two books that were different from my usual reading were by Edwidge Danticat, a Haitian American. One was part of the Royal Diaries by Scholastic books about the last cacica or ruler of the native Haitians when Columbus arrived. It's a remarkably different point of view from the one we know about. The other was a book that really gripped me. It was part of the author's own story in Haiti and the U.S. There were parts that were heartrending, both in Haiti and in the U.S. I think this, or a book like it, should be required reading for all non-immigrants in Canada and the U.S. to really assimilate why people come here to get away from their homelands. Sorry, forgot to mention the titles of Danticat's two books: ANACAONA: GOLDEN FLOWER and BROTHER, I AM DYING. Another book worth mentioning because it is also new is Iris Johansen's EIGHT DAYS TO LIVE, the latest of her books featuring Eve Duncan. It's a nailbiter and it presented a good story, but some of the scenes were a wee bit gruesome for my tender soul. In all I read 15 books and 6 short stories. I feel humble among so many readers. Right now I am just attenpting to survive June and for the government to finally certify me as disabled. With this stress it is difficult to concentrating on very many books right now. I love to read and in May I did not get as meny as normal due to the fact that we had 3 B- Days in May(yes all 3 of my kids were born in the first 10 days of may and no it was NOT planned)But I did get 10 books done and I loved them all. I have yet to get a e-reader but I hope to have one soon. what I wanted, when I wanted.